Once again, the Draft Firearms Amendment Bill of 2015 could have a major impact on the firearms retail industry — especially arms dealers who sell to the hunting and sport shooting markets. 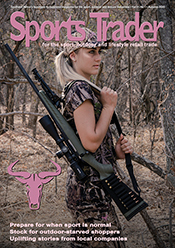 Issues like the application of identifying microdots to firearms, the licensing and marking of muzzle loading firearms, ballistic sampling and making organisations responsible for verifying members’ license applications, are some of the issues that fired up associations representing hunters and shooting sport enthusiasts. Attempts are also made to readdress the thorny issue of firearm license renewals in the draft amendments. The public had the opportunity to comment on the proposals in the draft working document before 31 March this year, and several associations representing hunting and sport shooting sports or gun owners made use of the opportunity. The consultative process had already started at the end of last year, when accredited associations were requested to submit comments on the draft proposals. Most stakeholders within the firearms industry were represented at a National Firearms Summit called by the Parliamentary Portfolio Committee on Police in conjunction with the Civilian Secretariat for Police towards the end of March 2015, during which proposed amendments to the act was discussed. Among the contentious amendments that will affect firearms dealers and retailers are the application of microdots to firearms, the marking of muzzle-loading firearms, and ballistic sampling. The proposed compulsory application of microdots on all firearms is “too costly, and no research has been done as to whether it will achieve the intended objectives, whether they will not adversely affect the functioning of firearms and whether the resources exist to apply them as envisaged in the draft bill,” comments the SA Gunowners Association (SAGA). The microdots must contain the serial number, model and other prescribed information. This must not only be applied to all new firearms sold and stock, but all licensed firearms already sold, must also receive a microdot within six months — or the owner could lose his license. The National Shooting Association (NSA) argues that the proposed microdot system could possibly be proven to be unconstitutional as it will invariably criminalise a large number of legal firearms owners who will not have access to service providers who will be able to apply the microdots to their legally owned firearms in the six months grace period envisaged. “It surely cannot be the intention of the lawmaker to force legal firearms owners to travel the country to find a so-called service provider who can make and affix said microdots,” says Dr Herman Els, executive chairman, who authored the NSA comments. They point out that the lack of training providers in certain areas have already created problems for firearms owners in rural areas who wanted to renew their licences, but did not have reasonable access to centres accredited with issuing competency certificates. The official cost estimate for applying the microdots to for instance, five firearms, is calculated at R2 250 by the compliers of the Bill, but the NSA believes the actual cost will be much more. In order to comply with the process in six months, microdots will have to be applied to approximately 24 166 firearms per day in order to legalise the calculated 2.9-m legally owned firearms in South Africa, calculates the NSA. Taking into account the present unorganised state of the Firearms Register — about which even the minister had commented (see p52) — it would be completely unrealistic to expect the CFR to cope with the additional administrative burden to manage the system of microdot filing, they argue. “The procedure of microdotting is flawed in its core and is just not realistically implementable, apart from the fact that it presents unfair and unrealistic financial implications for legal firearms owners, as it can never be legally proven to be cost effective,” concludes Els. Muzzle loading firearms will also have to be licensed and suppliers and retailers will be required to mark all muzzle loading stock. This must be done in a non-damaging way and with such serial number as may be prescribed and affixed in the prescribed manner: provided that the serial number may not be inscribed on the muzzle loading firearm itself. “We fail to understand how muzzle loading firearms kept in a dealer’s stock must be marked in the prescribed manner, but no serial number may be inscribed on the muzzle loading firearm itself,” says Els. If the identified mark is not applied to the muzzle, but on a separate article and then affixed to the muzzle loading firearm, “this can be interpreted as an alteration to the firearm, which is prohibited, and can legally only be done by a gunsmith,” Stephen Palos, chairman of the Confederation of Hunters Associations of South Africa (CHASA), commented on behalf of the confederation. “At whose cost will this be done?” they ask. The proposal for compulsory ballistic sampling/testing when a firearm is sold or a license renewed, is too costly, will lead to unintended consequences, has serious security and safety repercussions, while there is no proof that the anticipated consequences will be achieved, says SAGA. Ballistic sampling is defined as firing of a firearm in order to obtain a cartridge case or the firing of a missile to place details thereof on the Integrated Ballistics Identification System used by the South African Police Service, for comparison in the investigation of crimes committed with firearms. “There are very specific stipulations contained in Section 114 and 115 of the Firearms Control Act, 60 of 2000, regulating to when, where and how Ballistic testing and Inspection, search and seizure for inquiry of firearms are allowed, why the need for blanket testing?” argues Palos. CHASA points out that similar laws in the American states of Maryland and New York failed completely — despite costing the taxpayers more than $2.5-m in Maryland and $4-m in New York. A 2001 report by Californian state ballistic experts also found that ballistic fingerprinting/sampling is not feasible. During intensive firing tests, computer matching of cartridges from the same manufacturer failed 38% of the time and matching cartridges from different manufacturers failed 62% of the time. According to CHASA the Maryland State Police in 2005 requested that the law on ballistic fingerprinting be repealed. The confederation furthermore opposes ballistic sampling due to practical and technical problems such as the lack of testing facilities, shortage of time and manpower, the costs and availability of ammunition, the costs of updating the Integrated Ballistics Identification System and expertise in implementing these tests. A dedicated hunter or sport shooter must provide sufficient motivation if he/she applies for more than four licenses for firearms, or two licenses for semi-automatic firearms or shotguns. This must include motivational documents from the accredited organisation he belongs to. Licenses for semi-automatic weapons will only be granted to an applicant who has been a dedicated shooter for at least five years. “The effect of this would be that an already proven and dedicated sports shooter is being prohibited from participating in his/her culture and sport,” commented Palos. In addition, as the new insertion is written, it would mean that not even a dedicated hunter could apply for a semi-automatic rifle or shotgun license for hunting purposes, despite the fact that the FCA entitles him to do so. For firearm importers and dealers the prohibition of brokering services in respect of firearms could have a major impact on the employment of sales reps in the industry and on giving firearms as tournament prizes as a form of marketing. (b)acting as intermediary between any manufacturer or provider of firearms, muzzle loading firearms, or ammunition, and any buyer or recipient thereof. In addition, this clause affects sport and hunting associations because they often receive firearms as donations or at preferential pricing for promotional use, including fundraising auctions, prizes in lucky draws etc., adds CHASA. Another highly contested amendment is that accredited hunting or sports shooting organisation will be held responsible for verifying the applications of their members to possess a firearm, and to motivate why their members need to apply for more than two firearms licences for dedicated hunting or sports shooting. This could have the positive result that it would become easier for members of accredited associations to obtain firearm licenses, the SA Hunters and Game Conservation Association (SAHGCA) believes. But, this would imply that the accredited associations will be expected to take over the accountability and responsibilities of the Central Firearms Registry (CFR) as prescribed in the Firearms Control Act (FCA), explains Els. Besides, the capacity to assume this kind of responsibility and accountability is not, and had never been, a requirement when a hunting and/or sport shooting association applies for accreditation, he argues. Also, this implies that members of accredited associations will be treated differently to non-members who occasionally hunt or shoot, agrees Palos on behalf of CHASA. He says that members of accredited associations usually show more responsibility with firearms than non-members, yet they are singled out for an additional process when applying for licenses. Hunting and sport shooting associations also oppose the changing of the validity period of the competency certificate back to the original five years, after the period of competency was extended to ten years in 2006. “The inclusion of this proposed amendment makes no realistic sense at all, as all A4-type competency certificates which are currently issued by SAPS (CFR), have no expiry date printed on them,” says Els. Section 16 licences for dedicated hunting are valid for ten years, points out SAHGCA, and it would therefore be problematic if hunters have to renew their competency certificates every five years. SAGA, on the other hand, is not opposed to competency testing every five years, provided that the renewal of licenses is scrapped. “We are of the view that if firearm owners are confirmed to be competent every five years, licenses do not have to be renewed, there must merely be verification that the licensed firearms are still in her or his possession,” reads their press statement. SAGA has always maintained that the person should be licensed while firearms must be registered. Many people at the summit agreed with this view, says their spokesperson John Welch. “The basis of sound firearm ownership in a controlled environment is that only fit and proper people should possess firearms. Once a firearm has been registered against such a person there ought to be no further relicensing.” They do, however, approve of an audit of the firearms registered against a person when he or she renews a competency certificate. For more than a decade the issue of firearm license renewals and applications had representative organisations and the government at loggerheads. The CFR is in a shambles, which significantly affects gun control and the implementation of the Firearms Control Act, the Minister of Police Nathi Nhleko and his deputy Maggie Sotyu admitted during the Firearms Summit. This resulted in court challenges for failing to issue licenses within a reasonable time — and officers who failed to implement court orders were found in contempt of court. The registry is “an organisation in chaos,” said Sotyu. One of the court cases she referred to is the pending court application after SAHGCA obtained an interim court order in which the validity of the old green licences issued under the 1969 Arms and Ammunition Act were upheld until the main court case pertaining to this matter had been concluded. The proposal in the Amendment Bill that old licenses will be valid for two years after the Act becomes law, and that the Minister can extend this period for a further two years, is an attempt by the lawmakers to do away with the SAHGCA court order, the association argues. Several other organisations agree with them.